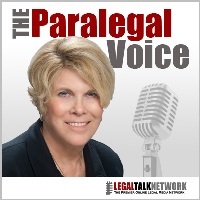 On this episode of The Paralegal Voice Charles Volkert, executive director of Robert Half Legal, joins host Vicki Voisin to discuss the future of the paralegal profession, how it’s changing, and specific steps you can take to land your dream job. Charles Volkert is executive director for Robert Half Legal and co-managing director of Robert Half Legal eDiscovery Services. Robert Half Legal is the premier provider of highly skilled legal professionals for law firms and corporate legal departments; it also offers legal project management and managed review services. Volkert is a noted author, speaker, and former litigator.